“He called it the most amazing flying he had ever seen in his life,” Dr. McDonald said. This game of cat and mouse reportedly went on for about 20 minutes and by this time Mr. Greenwood said 350 children and staff were watching on. Over the years there were reports that the government tried to cover up the incident and stop witnesses from talking, but Mr. Greenwood claimed it was the headmaster who first tried to squash discussion of the incident. “He gave the school a lecture and told the children they would be severely punished if they talked about this matter and told the staff they could lose their jobs if they mentioned it at all,” Dr. McDonald said. “When the Royal Australian Airforce contacted the headmaster he told them to ‘go and jump in a lake’,” Dr. McDonald said. This lines up with a few experiences Mr. Greenwood had when he tried to speak with other witnesses about what they saw. 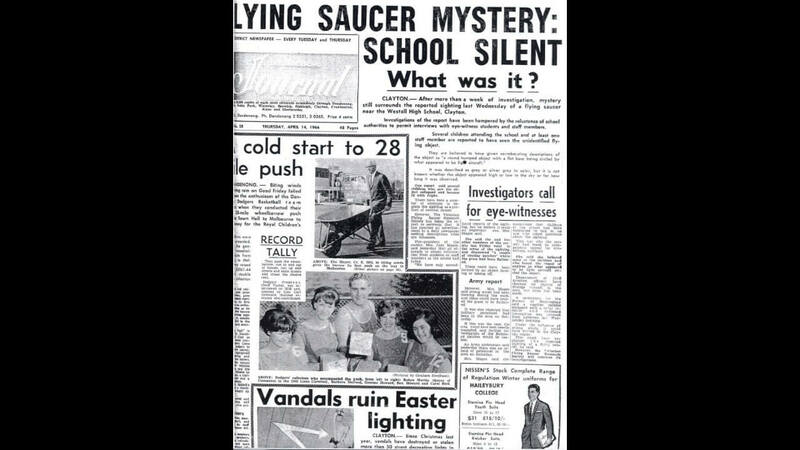 “At the time of seeing the UFO he was a complete skeptic himself. He had never even considered the possibility of their existence,” Dr. McDonald said. He then reportedly spoke to one of the older students who described the event in great detail exactly as he had seen it, but when he spoke to her again half an hour later she wouldn’t say a word. Mr. Greenwood didn’t think it had anything to do with the headmaster’s threats as no one usually took him seriously and he knew for a fact that the student he spoke with didn’t attend the meeting where he had made the threats. Dr. McDonald’s description of his interview with Mr. Greenwood offers a rare insight into the events from the eyes of someone who was an adult at the time.